Danish brand New Works has escaped from under the baffling cloud of its previous name Nevvvorks, to become an exciting new label that people can not only drool over but also actually pronounce. I'm sure it seemed really cool at the time to use an overlapping form of two 'W's that look like three 'V's instead of the more mundane separate 'W's but at the end of the day it didn't help much with brand recognition. Nevvvorks have existed since 2012 as a sub-brand of the Danish furniture distribution company, Roomstore. Nevvvorks showed in Milan as part of design junction in 2013, launching its initially small range of products that included the ‘Tembo’ chair, ‘Material’ pendant light and ‘Keel’ coffee table – all of which are still part of the current collection. A few products from this time have slipped from the catalogue but the brand's focus is all the better for it. Today it is a tight range of 16 pieces covering mainly home accessories, with two furniture pieces and a growing number of lighting designs. The hero shot with (L to R): the 'Bowl' lamp, 'Crowd' candleholders, 'Kizu' lamp and 'Untitled Concrete Chair'. Recently New Works has become an independent brand, with Norwegian designer, Knut Bendik Humlevik, becoming the Creative Director and Josephine Hedemann, the Creative Assistant. 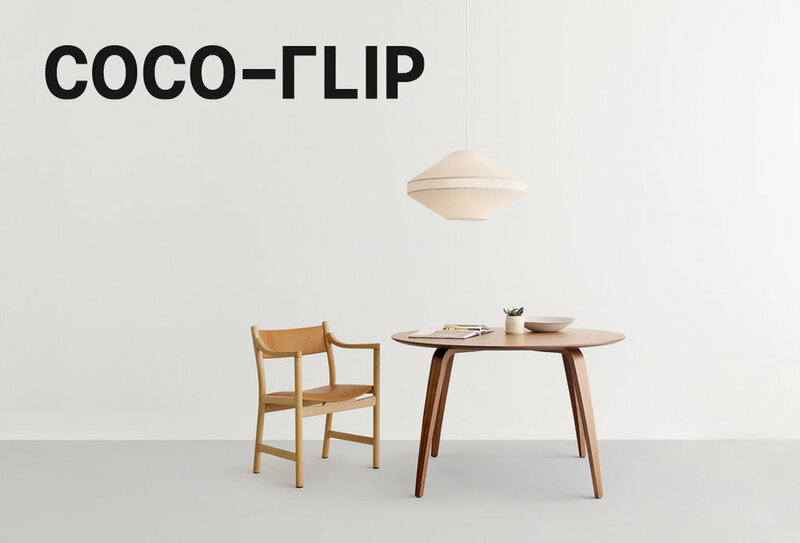 Since taking independent control they have worked intensively on creating a new visual identity and on attracting a number of designers from across Scandinavia to create an interesting array of interior products. One of the original products from the 2013 launch, 'Tembo' remains a key part of the New Works collection. The brand has photographed the entire collection in a concrete bunker normally used as a hay barn. The team discovered the unusual structure while on a scouting mission in the Swedish countryside. 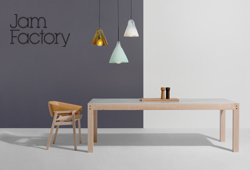 They have subsequently shown the new range and identity at the Stockholm Furniture Fair and launched their new website in early February. Many of the products occupy a space between art and design, with the emphasis on functional objects with a sculptural bent. New Works have always prided themselves in a somewhat rebellious approach and the 'Crowd' candleholders of David Taylor evoke this spirit perfectly. Made from concrete combined with a variety of materials including copper, brass and timber, the objects exhibit a contemporary mash-up aesthetic but are actually beautifully refined with a high level of detail. 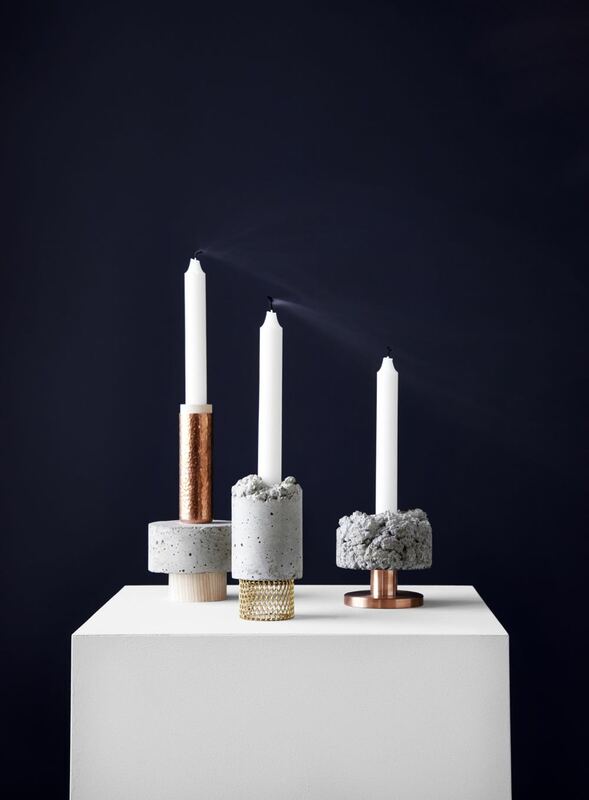 Quite different are the 'Gear' candleholders of Rikke Frost. Shown while still a prototype during the brand's international launch in Milan in 2013, the precision engineered holders have only now been released as part of the collection. They come in gold, cold grey or graphite anodised finishes and in two sizes that can be interlocked or stacked. The 'Material' pendants by Noergaard & Kechayas come in 12 variants including cork, concrete, oak, marble. With some successful designs such as the 'Material' pendants by Noergaard & Kechayas under their belt, the brand has made the decision to look beyond Denmark for its creative talent and have managed to secure the involvement of a number of high profile designers from Norway - in particular Anderssen & Voll, the co-founders of Norway Says but also young up and coming stars Lars Tornøe (of Muuto's Dot hooks fame) and Hallgeir Homstvedt , the creator of the 'Pal' stool for One Nordic Furniture Company. 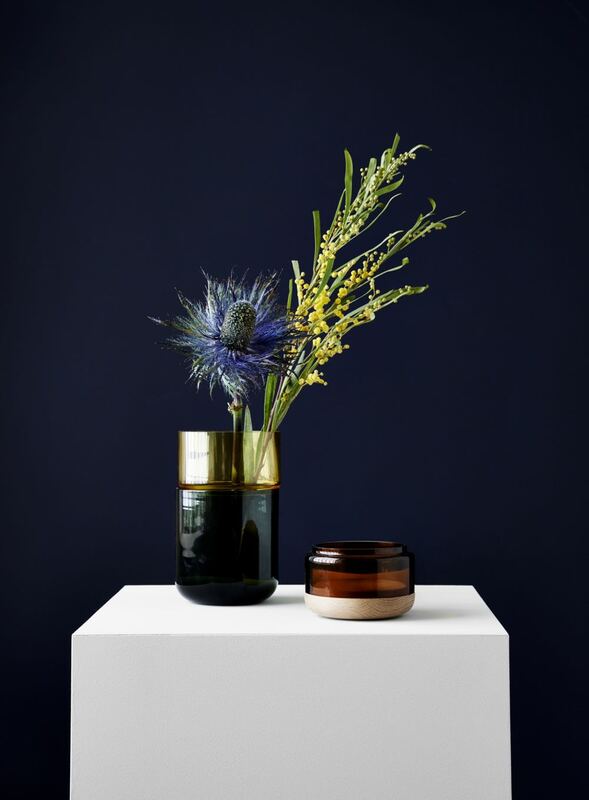 Finnish designers, Maija Puoskari and Tuuka Tujula are also new to the brand, designing a modular vessel with the intriguing title of 'Pi-No Pi No' that can act as storage jar, vase or simply as a beautiful objet d'art. The vessel's beauty comes from its mix of materials, textures and colours but the diversity of function is another appealing characteristic. 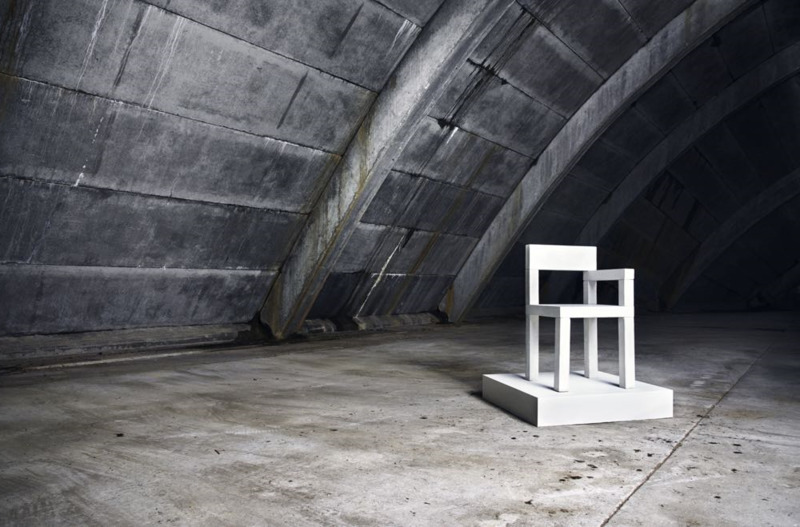 The 'Untitled Concrete Chair' by Magnus Pettersen. Simple, graphic and timeless. 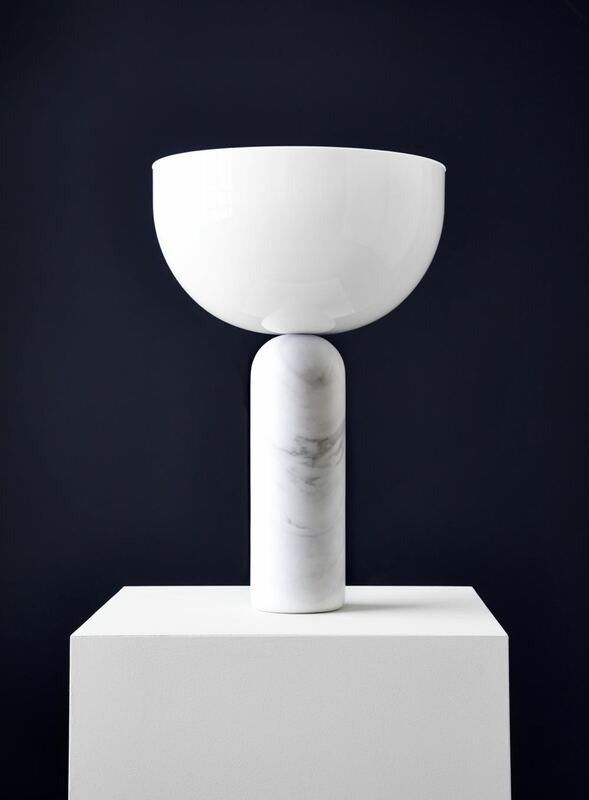 Concrete seems to be one of Magnus Pettersen's favourite materials, appearing as it does in a number of his designs, the most well known being his beautiful 'Leimu' table light for Iittala that won an IF Design Award in 2014. The young Norwegian designer was named Young Designer of the Year by Elle Norway in 2014 and was nominated for British Designer of the Year by Elle Decoration UK in 2013. His 'Untitled Concrete Chair' shares the geometric qualities of Donald Judd and Gerrit Rietveld (albeit in a more heavyweight material). The new 'Juliet' porcelain pendant light is by Norwegian designers, Hallgeir Homstvedt and Lars Tornøe. Porcelain is a notoriously difficult medium. 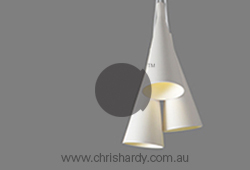 Shrinkage makes production complex and edge damage is a massive issue for thin-walled large objects such a pendant light. Hallgeir Homstvedt and fellow Norwegian, Lars Tornøe have collaborated for the first time on a delicate looking porcelain pendant light called 'Juliet' that has successfully overcome these problems. The 250mm diameter light was devised around the concept of the common wire framed fabric pendant, only in a more highly crafted material. The design shows beautiful translucency with the thicker parts of the porcelain remaining darker when lit - much like the wire framework does in the lights that inspired it. The quality of light and delicate tactile nature of the material is rather special. New Works Creative Director, Knut Bendik Humlevik not only oversees the brand's creative direction but also contributes his own designs to the range. In this department he is highly experienced having designed a large number of lights, accessories and furniture pieces for Danish brand Norr11 since it first launched in 2011. 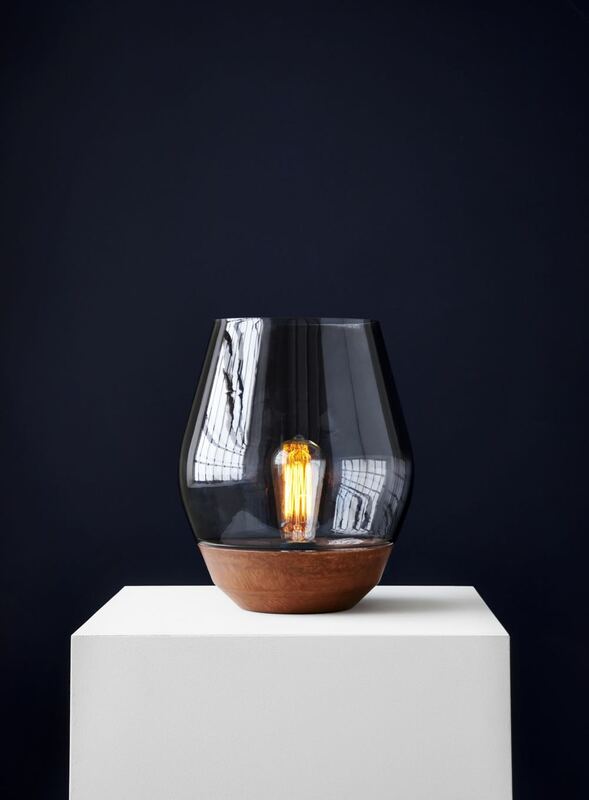 His 'Bowl' lamp is suitable for table or floor and comes in either raw spun copper with a smoked grey glass shade or in verdigris copper with a green glass shade. Lars Tornøe has created a second new lighting design for New Works with a striking table lamp called 'Kizu' that uses the bowl form as shade in a very different way to Humlevik. Appearing to be precariously poised on the verge of collapse, the polished white acrylic and matt white marble light has something of the dynamic tension of Vico Magistretti's famous 'Atollo' lamp. 'Karl-Johan' table lamp by Signe Hytte. 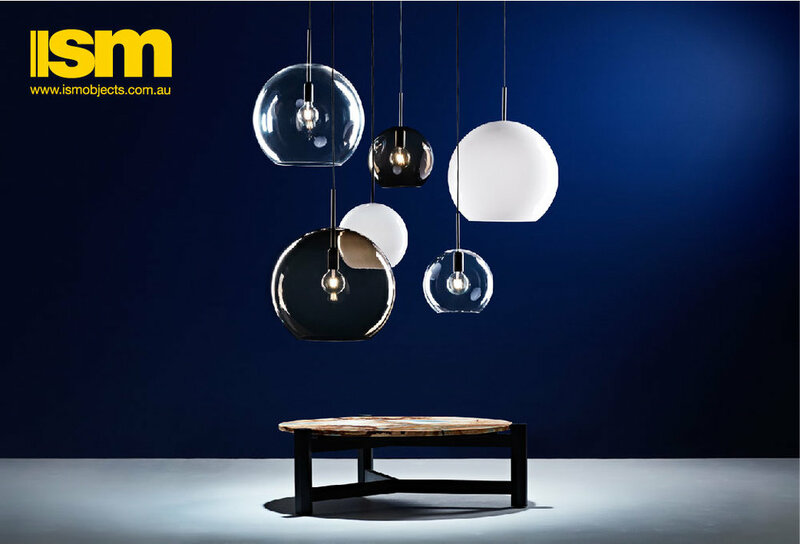 Available with a nero marquina marble or in dark timber base. Signe Hytte is a young Danish designer who has already worked for some of the best young Scandinavian studios, Norm Architects, Slaatto Design and Hee Welling and has products released by companies such as Menu and Bolia. Her 'Karl-Johan' table lamp for New Works combines a strong contrast of materials with a softness of shape. The density of marble topped by the lightness and transparency of glass is always an interesting marriage. The simple form can be transformed from chic and quietly masculine in it's black form, to a much more recognisably Nordic design when executed in turned timber with a white glass shade. Making the most of the bleak Swedish countryside. Some of the New Works photo shoot crew having fun. Pictured are Daniel Rørbæk with Graphic assistant Sol Guttormsen and Marketing Manager Lasse Astrop. Anderssen & Voll, Rikke Frost, Knut Bendik Humlevik, Signe Hytte, Lea Hein, Hallgaeir Homstvedt, Kristina Kjaer, Oscar Narud, Noergaard & Kechayas, Magnus Pettersen, Maija Puoskari, Nils Bak Rasmussen, David Taylor, Lars Tornøe and Tuuka Tujula. For more information on New Works click here.